Dairy farming in India to be successful one needs to understand the art & science of selecting good dairy cows. Dairy farming demands wisdom to make it successful. One of the key reasons behind success of dairy farming in India is selection of good breed of cows. It is a huge task & challenge while selecting best cows for commercial dairy farming in India. Krishna Leela receives huge requests on ancient traditional Knowledge for dairy farming success. Yes ! 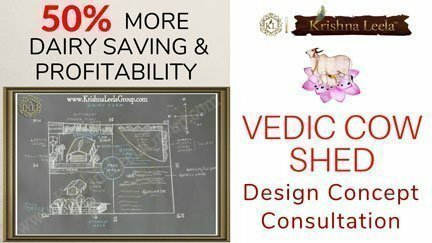 Vedic wisdom provides simple yet practical effective way in the right selection of DAIRY CATTLE BREED & the right selection of dairy cow among the chosen breed. Dairy Farming In India – Tips for good dairy cow identification! Q. What is the cow price list for good dairy cow in India? Q. Where to find BEST QUALITY – HIGH YIELDING DAIRY FARM COWS? Q. Which breeder provides BEST DAIRY COWS? Q. Where should I TRAVEL in search of BEST DAIRY FARM COWS? Q. How to start dairy farming in India with good breed dairy cows? The questions are endless, the search is endless & many times we find ourselves & our dear friends travelling far & wide in search of the so-called POTENTIAL BEST INDIAN DAIRY FARM COW! TRUTH & OPPORTUNITY many times is VERY SIMPLE & IN CLOSE DISTANCE; the so-called BEST DAIRY COW might be in the very close vicinity of our own place, in our own neighbourhood neglected. Before we step out in search of BEST DAIRY COWS, LET’S GAIN BASIC KNOWLEDGE ON HOW TO IDENTIFY BEST DAIRY COWS! How to Start Dairy Farm in India? Firstly it is very important to have an understanding of one-self; whether one has the dairy farming characteristics to make dairy farming success. KL suggests one to undergo self-evaluation before jumping into dairy farming & burning ones hard earned money. KL || atma darshan || makes one understand the various individual requirements, challenges & risks associated with starting dairy farming in India. Atma Darshan is all about self-introspection, being in the stage of self-awareness one realises the TRUTH & POWERFUL WISDOM to see the task more OBJECTIVELY. KL ||AtmaDarshan||™ strongly believes one should FIRST understand the characteristics of a good dairy farm cow. Q. Do I know the beautiful world of dairy cows? Q. Do I know the Characteristics of a good dairy cow? Q. What to look for when buying a dairy cow? Q. Selection Tips for dairy cattle -best cow for milk in India? Q. 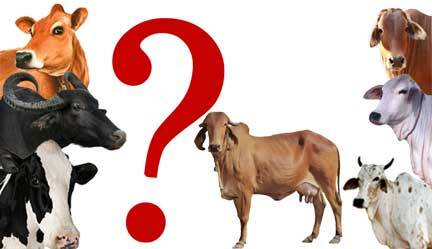 Which cow gives more milk in India; highest milk producing cow breed in India? Q. Highest milk-producing cow per day in India? Q. Which cow is best suitable for dairy farming in India? Q. How does a GOOD QUALITY DAIRY COW LOOK LIKE? Q. 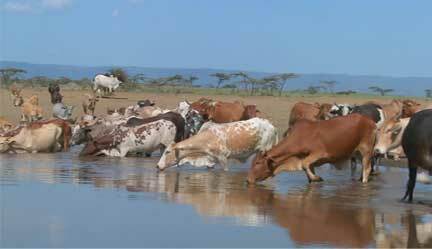 From the pool of dairy cow herd, How to identify which cow is the best dairy cow? Secondly, one needs to understand the art & science of selecting good dairy farm cows. KL based on ancient wisdom has formulated a basic guide || Surabhi Saptgun|| which provides some basic info in identifying & selecting a good dairy cow. Ancient traditional Knowledge in Identifying the best Indian dairy Cow! 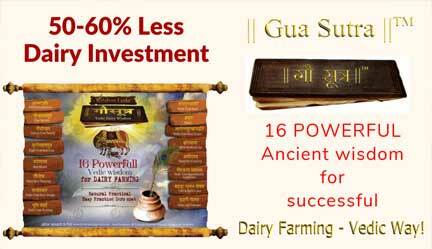 Krishna Leela with years of research & close interaction with dairy practitioners has formulated a powerful Vedic wisdom ||SurabhiSaptgun|| ™, A Simple Basic Guide which is aimed to assist in the selection of good dairy farm cows. Surabhi as per ancient Vedic wisdom means ‘WISH FULFILLING COW’; the cow which fulfils one’s all wishes. 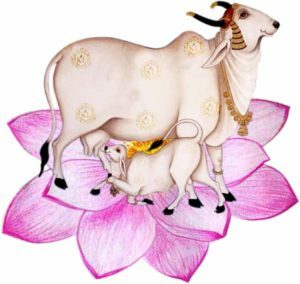 Surabhi is the Kamadhenu of all cows which brings PROSPERITY, HEALTH, JOY, FAME & HAPPINESS. 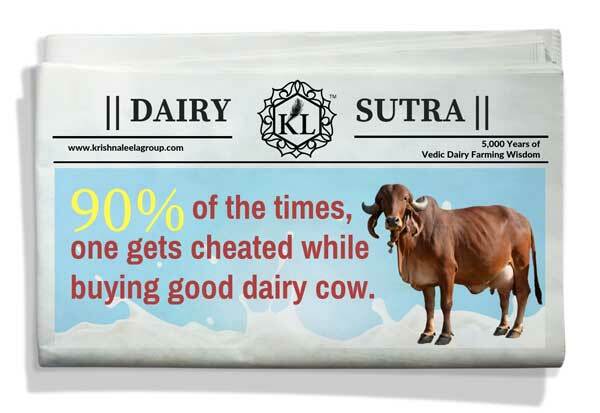 Every dairy farm desire is to own a SURABHI DAIRY COW. But the challenge is how to select a Surabhi cow? Best Cows for Commercial Dairy Farming in India? Know the ancient dairy farming wisdom? It is important if you starting a dairy farm or practising dairy, you need the true wisdom, art, science to identify the Surabhi among cows while selecting cows for your dairy farm. It is believed, SURABHI exists in each & every cow with varying merits. One needs to have the humble sincere eye to feel & respect the Surabhi in each cow. And if you are not aware of the basics chances are you might select wrong cows or even get CHEATED. Best Indian Milking Cow Breeds for dairy farming in India! Among the pool of Indian cow breeds; cows known for high milk yielding are Sahiwal, Gir, Rathi, Tharparkar, Red Sindhi. But the word ‘BEST’ which is an adjective is dependent on various variables like Proper nourishment/Proper healthcare/ Proper Housing / Cow’s Lifecycle stage etc. As the variables change so does the merit of ‘BEST’ changes; in simple words, it is said even a high yielding Dairy cow can become low productive due to improper care, similarly an average yielding cow can become a high yielding SURABHI dairy cow with proper care & love. 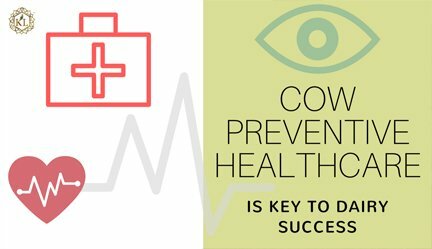 Actually, NO COW IS NON-PRODUCTIVE. All Non-Productive cows are MAN-MADE with his wrong interference, complications & wrong practises. Having understood this, it shall be important to train oneself in rich observation, develop the art & science of Vedic wisdom, so that the Surabhi Saptgun in the cow is identified & developed for its full potentiality & in the creation of wealth. KL strongly believes one needs to understand the art & science of good dairy cow selection before starting dairy farming. 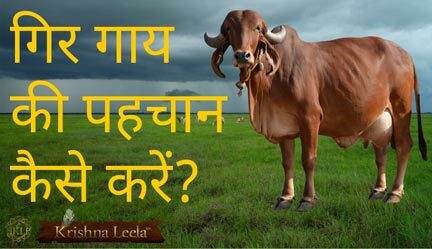 Tip #8: Cow Dung Reveals Lot! Tribe – Men – Dairy Farming Experts!